There's no more formidable ally for a buyer or seller than a REALTOR® with a law degree. Meridith Hayes comes to Compass with both her undergrad and Juris Doctor degrees from the University of Texas at Austin. The Tyler native practiced law for over a decade in Dallas, specializing in school law with a focus on labor/employment and real estate, so her transition to a new field didn't come with a huge learning curve. In addition to those educational qualifications, she is married to Mark Hayes, of Hayes Signature Homes, and is intimate with the process of growing a home-building business. With this rare combination of a legal education plus a real estate business background, you quickly understand just how much she brings to the table. She has a unique ability to educate and guide her clients during the life-changing process of buying or selling a home with her expertise, knowing what's behind the walls, the value of the land and how to negotiate on behalf of her client. 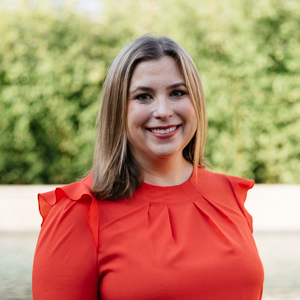 Meridith is a resident of Preston Hollow and has two sons that attend the Shelton School and Parish Episcopal. She is a firm believer that education changes lives and she volunteers at both places whenever she can. She also enjoys helping out at their sporting events, and is a foodie who loves traveling with her husband and friends.